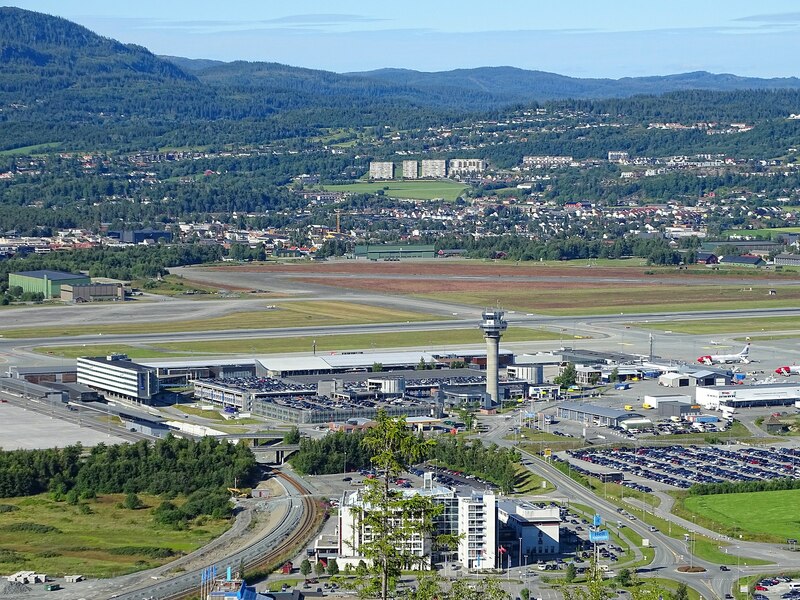 The Trondheim airport Værnes (TRD) has multiple daily flights to the major international airport hubs in Copenhagen, Amsterdam, Stockholm, Helsinki, London (Gatwick) and Oslo. There are also regular flights to other European cities in Spain, Poland, France, Estonia, and Iceland as well as to a number of Norwegian cities. Transport from the Trondheim airport to the city centre and the venue is most easily done by taking the airport shuttle (depart every 10 min), but trains (depart every hour) and taxis are also available. The drive from the airport to the city centre is approximately 35 min. Trondheim can also easily be reached by long distance trains (3 daily trains from Oslo) or by car. Trondheim airport Værnes. Photo Bjørn Christian Tørrissen cc-by-sa 4.0.